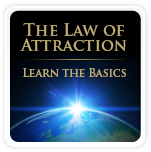 In the video below, Abraham-Hicks explains the principles of Law of Attraction. You will learn about the broader non-physical part of you, and how to communicate with infinite intelligence! Make sure to read the summary below the video. The video was recorded in February 2008, at a Abraham-Hicks Law of Attraction Workshop, video 1 (5). Abraham-Hicks (the infinite intelligence channeled by Esther Hicks) wants us to fully understand that we are mostly and primarily vibration and that we are all extensions of Source Energy. To benefit from the Law of Attraction, we must understand that our thoughts and feelings are vibrations. By adjusting our thoughts, and thereby feelings, we adjust the outcomes of our lives. Abraham-Hicks explains the creation process as follows: Your thoughts and feelings are vibrations first. Everything you see is vibration first. When you think and get a new idea, Source Energy first becomes your new expanded idea vibrationally, and then it eventually becomes physical manifestation. You are, through life exposure, continually coming to new conclusions about what would make life better for you. Through life exposure, new thoughts and ideas are being born from you. Then, Source Energy within your rides that rocket and literally becomes that expanded version in a physical form. Abraham is the infinite intelligence; the non pyshical entities that Esther Hicks is able to communicate with, by receiving block of thoughts. Abraham explains that we are all able to communicate with this infinite intelligence, that is also explained as the broader non physical part of us. What is “the broader non physical part of us”? Source Energy / God / Light / Broader Intelligence, or whatever you want to call it, is the broader non physical part of you. The non physical part of you vibrates on a high frequency. We can all access this broader intelligence by raising our own energy level. When Esther Hicks wants to communicate with Abraham (source/God), Esther Hicks’ own energy level / frequency has to become a match to the frequency of Abraham. 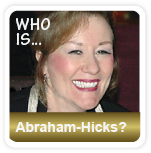 When Esther Hicks‘ frequency is a match to Abraham they become ONE, “Abraham-Hicks”. Since we all are a part of Abraham, we can all tap in to Source Energy. If you want to communicate with Source Energy / Abraham and start the interfacing with the non physical part of you, your frequency has to match the frequency of Source Energy / Abraham. Abraham communicates from a high frequency. You can access Abraham, your broader non physical part of you, by raising your frequency. Positive thoughts and emotions have higher frequency than negative thoughts and emotions. By choosing your thoughts and start thinking positive, you will be able to raise your frequency / energy level, thought by thought. The process is to think, and thereby feel, your way to a higher frequency. 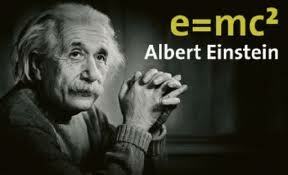 Allow your frequency to rise to the equivalency of that which is the frequency of Abraham’s. According to Abraham-Hicks, all living things on this planet, with the exception of the human race, have a seamless interfacing with the non-physical and physical world all the time. We humans are not interfacing all the time with the non-physical world, because of our resistance within us. All negative emotions like worry, fear, guilt, anger, jealousy etc., make us become resistance to the non-physical world because negative emotions are on low frequency levels. This means that if you want to interface with the non-physical world, you have to let go of the resistance within you, caused by negative thoughts and emotions. In other words, if you want to access your broader intelligence / Abraham, you have to stay happy. By becoming more aware of your feelings, and by consciously searching for and focusing on the positive aspects in all things, you will automatically shift your vibration and start the interfacing with the non-physical world, in which we all are a part of. Esther and Jerry Hicks have written many books on the Law of Attraction that that are really inspiring. They have also released audiobooks, DVDs, affirmation cards, and Apps for iPhone, than can be very helpful in releasing resistance and manifesting your dreams. For more information, see Abraham-Hicks Products.